Section Thirty-three is a complex of four columbaria. The centerpiece of this area is the beautiful mosaic of Christ’s Agony in the Garden. 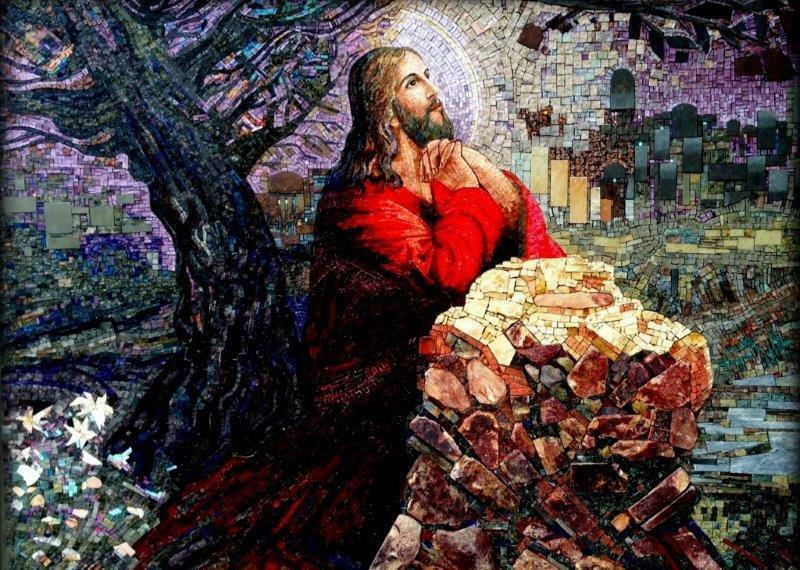 This powerful mosaic reminds us of Christ’s unwavering love for all of us as he prepares to sacrifice himself for us and to conquer sin. The four buildings that make up this complex are named after the gospels of Matthew, Mark, Luke and John, with each building having a verse that memorializes that gospel’s illustration of Christ’s Agony in the Garden.